It’s been two days and Yoan Moncada is still a Boston Red Sox player. This didn’t turn out to be a cruel joke Hal Steinbrenner tried to pull to literally see if his Father might roll over in his grave. And as the past 48 hours have come and gone, it’s clear the Yankees did not have a suitable plan for how to approach an offer for the Cuban teenager. All winter long the Yankees have operated intelligently and with understandable restraint. They didn’t overspend on veterans in free agency who won’t be around or in their primes a couple of years from now. They didn’t commit huge money to Jon Lester or Max Scherzer so when players like: Mark Teixeira, Alex Rodriguez, Carlos Beltran and CC Sabathia come off the books, there would be a new bloated contract to continue giving the Yankees’ dead payroll. Brian Cashman didn’t trade the farm for Troy Tulowitzki or Cole Hamels or any other big name player which would have decimated the farm system back to 2013. No, up until February 23rd, the Yankees did everything they were supposed to do. They gave up players they could part with, became younger, better defensively, more athletic and kept who they needed to keep (except maybe, Brandon McCarthy). So why then, when the team ranked among the worst in the American League in offense did New York fail to secure a top ranked prospect, not yet in his prime, who plays positions they could use at the MLB level and who might be a middle of the order bat for years to come? There were roughly $9 million reasons, but in Yankees’ land, it might as well have been zero. Let it be known not having Moncada will not set the Yankees’ franchise back, or be looked at as one of the worst moves in franchise history, or signify anything much beyond the fact they missed out. But let it also be known the chapter New York wrote all winter could have been met with an exclamation point with this signing and instead the Yankees closed the book. This is a 19-year-old prospect from a place prospects have been exploding out of the last couple of years who would contribute very little towards payroll (around $6 million per year), who could play corner outfield (in place of an often injured and departing after 2016, Carlos Beltran) or second base (in place of Stephen Drew after 2015). This is a bat projected to be a 30 home run hitter as a ceiling who also can steal bases and play excellent defense. This is a man, perhaps as an omen, projected to be the next Robinson Cano, the same guy the Yankees didn’t resign a year ago and felt immediate impact from it this past season. They didn’t want Cano at over $200 million but they also apparently didn’t want to see if they could find one a decade younger for $32 million. When your downside is 1/10th of A-Rod’s contract not panning out and the upside is having a player like Cano in his early 20s, you go for it. And that’s why this made no sense. That’s why the Yankees dropped the ball on how to handle the situation. They held hands throughout the entire process, they made an offer and then…..They ran out of money. The Yankees, they ran out of money and didn’t even come close to nine digits. The Boston Red Sox offered $31.5 million, the Yankees topped out at $27 million. With taxes, the Yankees lost out on a high upside gamble by $9 million dollars, or less than two 36-year-old Sabathia buyouts. Think about that for a second. As recently as 2011 the Yankees were willing to hand Sabathia $5 million as a soon-to-be 36-year-old to not play for them in 2017. Fast forward to 2015 and they won’t double that to land a 19-year-old who many project to be just like drafting first overall. The Yankees took Derek Jeter sixth overall in 1993. It was the last time they drafted in single digits. They could have had three draft picks more or less in the first round of a weak draft, which would have been a smart play since the draft isn’t very deep. They could have had a fourth top 100 prospect, and an immediate top 15 prospect. This would have restored respect to the farm system (which granted, may come next year anyway) and helped forge a pipeline with future Cuban players (the same sentiment they attached onto Hideki Matsui‘s contract for Japanese players). They spent $26 million almost a decade ago on Kei Igawa, someone some of their own scouts knew was terrible! So there is no amount of double speak, front office talk, or justification as to why the Yankees were all in with believing Joan Moncada was worth spending on, but priced him out at $27 million instead of the necessary $32 million. 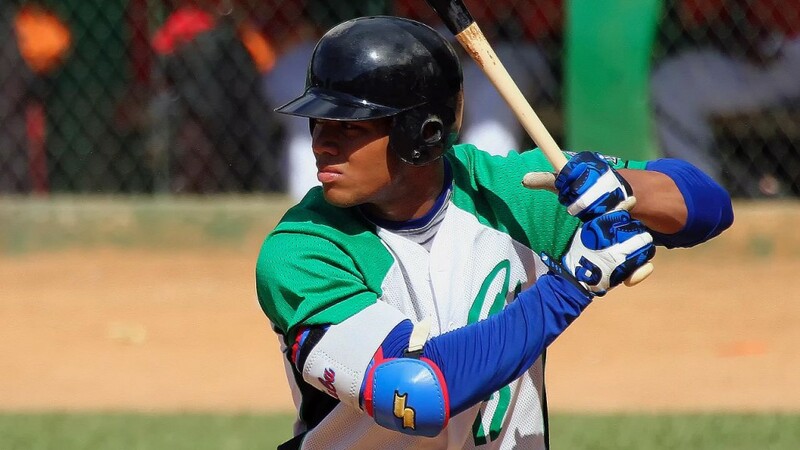 Early reports had Moncada’s price tag potentially entering $100 million after taxes. As recently as last week the price tag was still around $80 million. It ended at $63 million and the Yankees weren’t willing to match? When you are the Yankees, especially when the Dodgers are out of it, these are the things you spend big on. Players entering their primes, big prospects, young talent. That’s how you rebuild on a big payroll. The Yankees didn’t re-write their winter, they simply forgot the ending.